The Manistee Saints semi-pro baseball team has been a part of the Manistee sports scene since 1934 when it was organized as a parish team of St. Joseph's Catholic Church in Manistee. It has evolved from a parish team to a town team to the area team it is today. 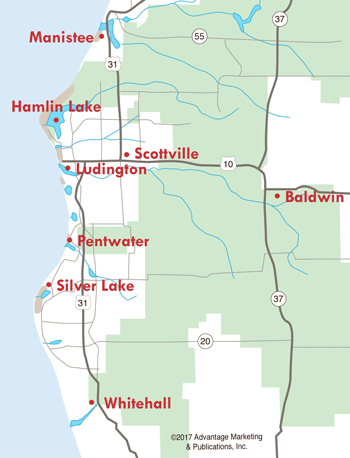 Home games are played at Rietz Park at the southeast limits of the city of Manistee. Here's the schedule of home games for 2019. 8 - Michigan Sports Academy-Livingston, 1pm & 3:15pm. 9 - Michigan Sports Academy-Livingston, 1pm & 3:15pm. 15 - Saginaw Sugar Beets, 1pm & 3:15pm. 16 - Saginaw Sugar Beets, 1pm & 3:15pm. 29 - Oil City Stags, 1pm & 3:15pm. 30 - Oil City Stags, 1pm & 3:15pm. 6 - Troy Jetbox, 1pm & 3:15pm. 7 - Troy Jetbox, 1pm & 3:15pm. 20 - Mid Michigan Starz, 1pm & 3:15pm. 21 - Mid Michigan Starz, 1pm & 3:15pm. 27 - Midland Tribe, 1pm & 3:15pm. 28 - Midland Tribe, 1pm & 3:15pm.